The director of a federal agency has asked Congress for explicit authority to strengthen its enforcement of financial protections for service members. The Consumer Financial Protection Bureau wants specific authority to conduct examinations of payday lenders and others under their jurisdiction to ensure they’re complying with the Military Lending Act (MLA). Among other things, the MLA limits interest rates that can be charged to active-duty members and their dependents to 36 percent annual percentage rate. 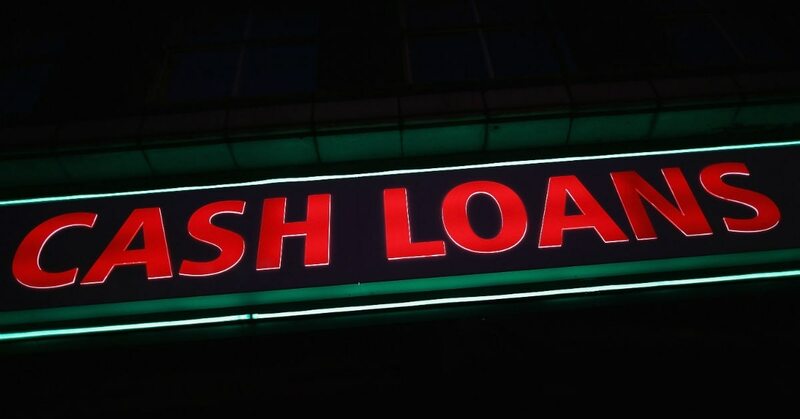 Last year, the CFPB pulled back on its regular examinations of payday lenders and others to make sure they’re complying with that law. CFPB determined they didn’t have authority to do those examinations, although they have been conducting the MLA exams for years. In announcing the legislative proposal submitted on Jan. 17, CFPB Director Kathleen Kraninger said the bureau’s commitment to the well-being of service members “includes ensuring that lenders subject to our jurisdiction comply with the Military Lending Act so our service members and their families are provided with the protections of that law. Kraninger noted that she was pleased to see that legislation proposed recently in the House is also aimed at granting the bureau this authority. Consumer advocates, military community advocates and senators have urged the bureau to continue these MLA examinations, citing the need to proactively protect service members. In an interview with Military Times, Kraninger said she has heard from a number of lawmakers that this issue is important to them. “It makes perfect sense to make sure that Congress clarifies” the authority, she said. “As we’ve looked at our authority, it’s not clear in this respect. Kraninger had just come from Travis Air Force Base, California, where she met with a number of service members, including first sergeants who discussed some of the challenges of their airmen, she said, and how they handled it. She sat in on a financial readiness class, and talked to military attorneys, among others. She said it was “a great opportunity to see the changes made in roughly the last 15 years, the shift from support to readiness, the focus on financial readiness as an area of key importance." In working with defense and service officials, she said, CFPB can help support them with tools and materials they need to protect service members, and to educate them on financial services and products. Kraninger said some of the top issues discussed at Travis relate to housing costs, and vehicle purchases. With the high cost of living in the local area, there are issues with airmen’s ability to manage financially with the costs of housing, and making the right decisions. Car buying is another issue — airmen’s knowledge about best practices related to buying a vehicle, and how to avoid bad actors, she said. There were concerns about some landlords’ compliance with the Servicemembers Civil Relief Act in allowing service members to terminate their lease because of deploying, but military attorneys have been able to resolve issues at the local level without going to the Department of Justice, she said.